by the Global Korean Wave Federation!
" DANakaDAN is an alternative artist based in Los Angeles, CA. He recently produced a documentary series detailing his very personal journey with meeting his biological family for the first time, including an identical twin brother he never knew about. 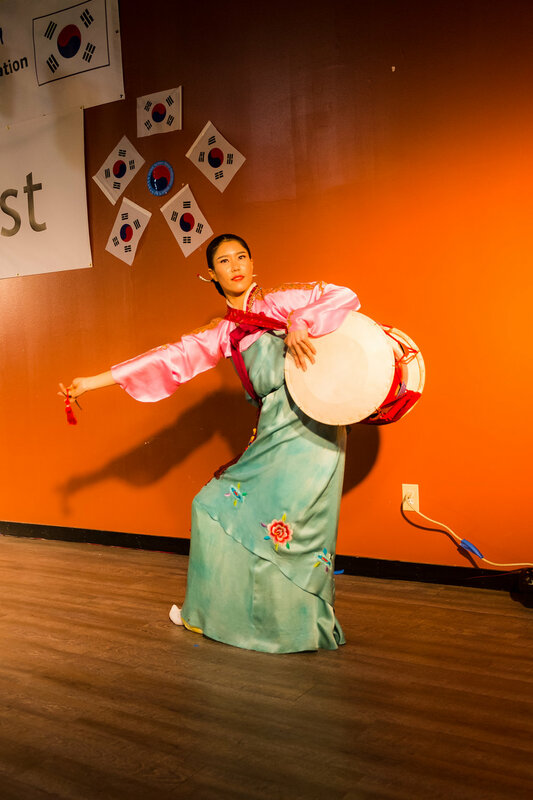 KoreaFest Saturday . . .
. . . food & more! $1,000 First Place Prizes. Entries were accepted from anywhere in the world! Musicologist and pianist Jung-Min “Mina” Lee (Singing Contest Judge) has taught courses in music theory, music history, music appreciation, and music criticism at Duke University, Montclair State University, and Baekseok Arts University in Seoul, Korea. 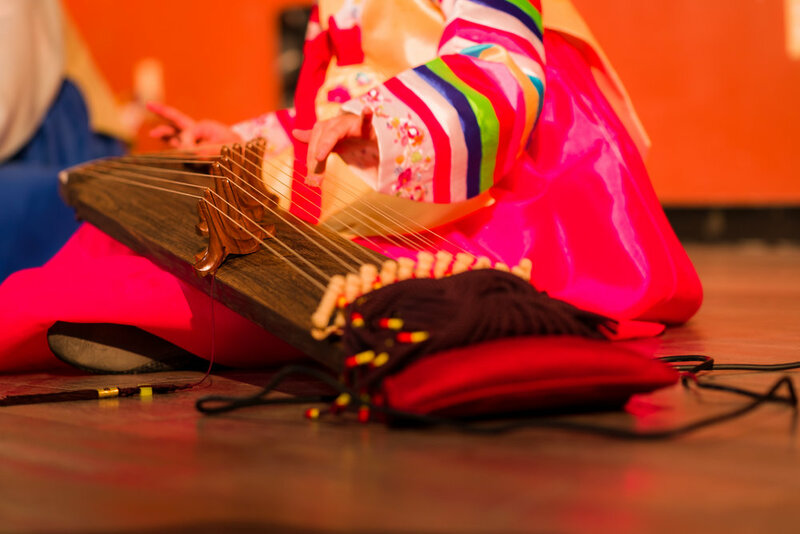 She has been writing the Program Notes for the Chamber Orchestra of the Triangle since 2015 and also given pre-concert lectures for various classical music concerts in Korea. She holds a master’s degree in piano performance from the Manhattan School of Music and a Ph.D. in musicology from Duke University, where she gave guest lectures on K-pop. Currently, she is working on a research project at the Asian/Pacific Studies Institute at Duke University. Lenore Behar (Singing Contest Judge) is the Chair of the Board of The Chamber Orchestra of the Triangle. In this position, she works to have the orchestra provide outstanding classical concerts to music lovers in the Triangle. She is also a board member of the Carolina Ballet. She and her husband are strong supporters of the arts, placing great importance on the arts as important to the quality of life. In her professional life, she has a PhD from Duke in child psychology and works as a national consultant in the development and success of large systems of services for children. Singer and Songwriter has composed songs for Korean singer Byun Jin Sub. "Like Birds", "It's Too Late" and "All I Can Give You Is Love" are some of his work on Byun Jin Sub's 1st and 2nd album. 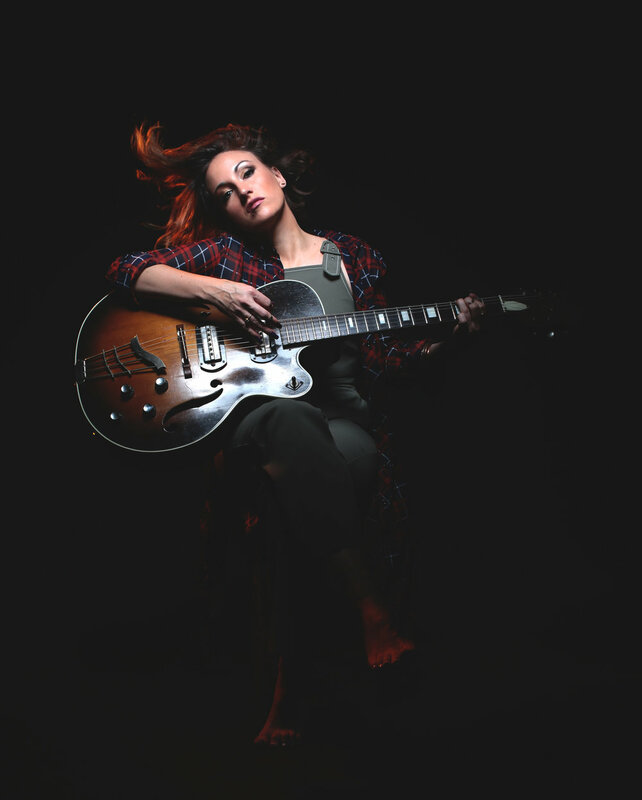 Laura Reed (Singing Contest Judge) is South African born, Nashville and North Carolina based singer/songwriter Laura Reed has been critically acclaimed for her powerful vocals, soulful sound, vulnerable story telling and passionate stage performance. Winner of the SUMMERFEST 2016 Emerging Artist Series and 2014/2015 NIMA (Nashville Industry Music Awards) for best female RnB vocalist and performer. 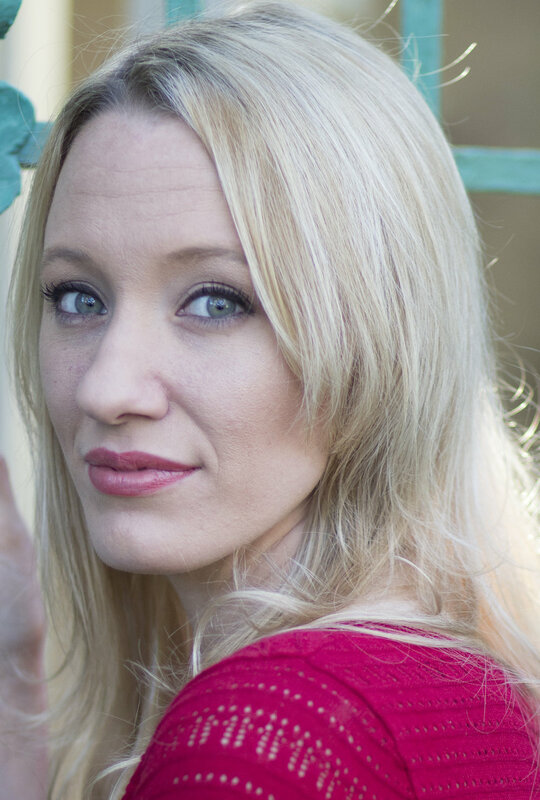 Laura released her debut album, "The Awakening" in 2014 to rave reviews. Co-Written with and produced by 2X GRAMMY winner Shannon Sanders (India Arie/ John Legend / Robert Randolph) in Nashville on her own label, FIVE FOOT GIANT RECORDS. 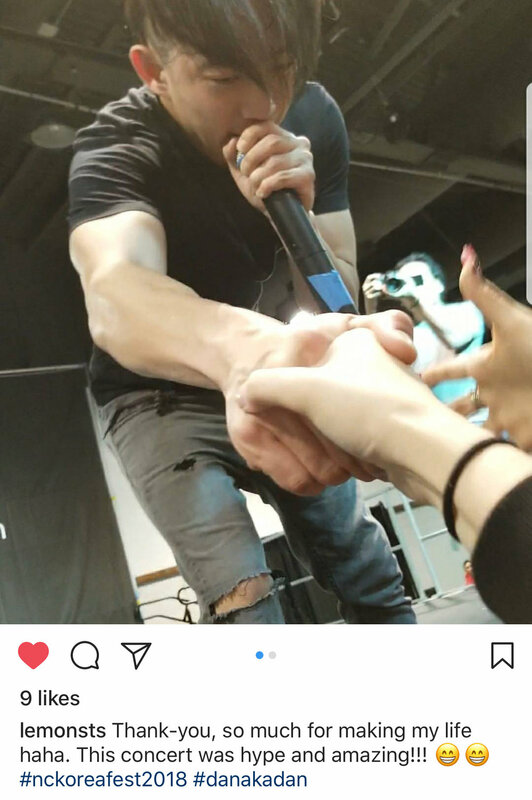 Laura is currently touring and working on her next EP. Kathy Thompson Whaley (Singing Contest Judge) works for the University of North Carolina at Chapel Hill as a Technical Assistance Specialist for the Early Childhood TA Center at the Frank Porter Graham Child Development Institute. As a national Technical Assistance Specialist, she supports early intervention and early childhood special education state level coordinators in implementing the Individuals with Disabilities Education Act (IDEA). Music has always been an important part of her life. For fifteen years, she sang with the Hickory Choral Society and performed on a variety of stages in North Carolina, New York and England. More recently, she has been performing ensemble work with local musicians in Durham, Chapel Hill, Pittsboro and Carrboro. She has performed as a band member or as a special guest with the Thunder Mountain Review, The Bull City Brakemen, Second Wind and most recently, with the Adam Anderson Project. JJ’s childhood was spent in China during the Great Proletarian Cultural Revolution (1966-1976). During that era of madness, drawing, writing and reading poetry kept him safe and sane, and shielded him from the chaotic world outside. As a fine artist, JJ draws his inspiration from both his eastern and western cultural roots, as well as his inquisitive mind and inner poetry. He excels in drawing, watercolor and oil painting, while exploring subjects such as: still life, landscape/cityscape, portrait and figure, Chinese calligraphy and brush painting. His work has been widely exhibited and has won many awards. Eun Young Leem (Art Contest Judge) is an enthusiastic Korean born ceramic artist who started ceramics in mid- 1990. In Korea, she was also an active watercolorist and had numerous art show with professional watercolor group. Her specialty was painting Korean country sceneries. For the first time, Eun Young experienced ceramic art in Northwest Florida State University. She fell in love with ceramics right way. Eun Young completed BFA in Ceramics at State University of NY. By observing her ceramic pieces; one will recognize how her Korean heritage and former art training influence her design execution. Eun Young likes to take traditional Korean ceramics and merges with modern style. Exploring and inventing new styles. She is very happy when she works with clay. Eun Young’s work is featured at Little Art Gallery in Cameron Village of Raleigh. Holly Murray (Art Contest Judge) is a North Carolina native and a graduate of Meredith College, where she received her Bachelor of Art Degree in Fine Arts with a Studio Concentration in Painting. She is an instructor at Artistic Thirst Studio in Raleigh, where she shares her love of creativity through helping others create their own pieces of art. At her own studio, Holly enjoys painting impressionistic landscapes and creating quirky and fun designs with acrylics. Her artwork hangs in private collections throughout the state. She also created a unique piece of public art displayed on Main Street in downtown Fuquay-Varina, a Bengal Tiger statue named George. Karleigh Hambrick Loomis (Art Contest Judge) is a Graphic Designer working and living in Raleigh, North Carolina who has also been instructing at Pinot's Palette in Brier Creek since November of 2014. After graduating high school Karleigh, decided a move from her hometown of Augusta, GA was necessary to cultivate her love for the arts. She began her artistic journey at the College of Charleston pursuing her Bachelors of Art with concentrations in both Drawing and Painting. After college, she immediately began teaching this passion for art to others at Porter-Gaud School-a prestigious college preparatory school in Charleston while also creating work for a publishing company as their in-house illustrator/graphic designer (which is a combination of traditional illustration and computer based graphic design work). 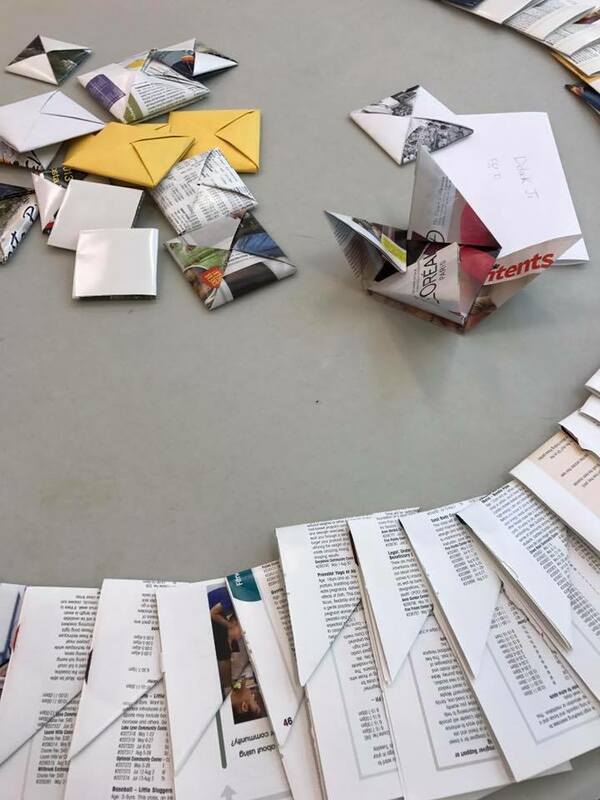 While teaching and working, she decided to continue her pursuits of the arts by expanding her knowledge at Savannah College of Art and Design. She received her Masters of Arts in Illustration Design. Since then, she has been working as a freelance illustrator and graphic designer. 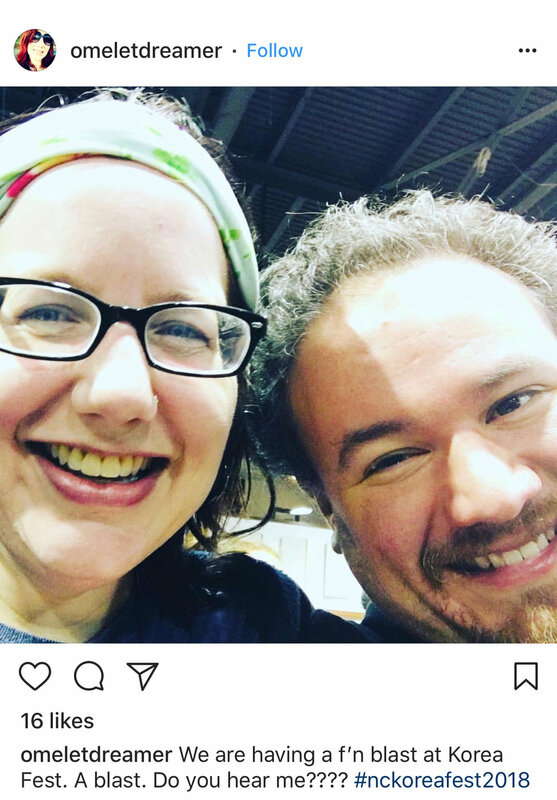 She has illustrated over 15 covers and/or entire books and has worked most notably for the city of Raleigh, The History Press-a publishing company, IBMA (International Bluegrass Music Association), DPAC (Durhams Performing Art Center), Landon Elmore Design Firm, The Red Hat Amphitheater, Quinnger Beer and many more! Marcia Moran (Art Contest Judge) is originally from Colorado and has a degree in Graphic Design from the Colorado Institute of Art. Her decision to open Artistic Thirst in October 2016 arose from her desire to use her creative talents in an atmosphere of fun and exploration. Always creative, both personally and professionally, she loves to encourage and see others tap into their creative side. That love of encouraging others, seeing faces light up after a session, and hearing excited exclamations of "Hey, this looks better than I thought it would," or, "I think I may start painting on a regular basis!" are the foundations of Artistic Thirst. Marcia continues to design beautiful images for her customers to reproduce and she, along with her artist assistants, guide and encourage you in a fun, friendly environment. 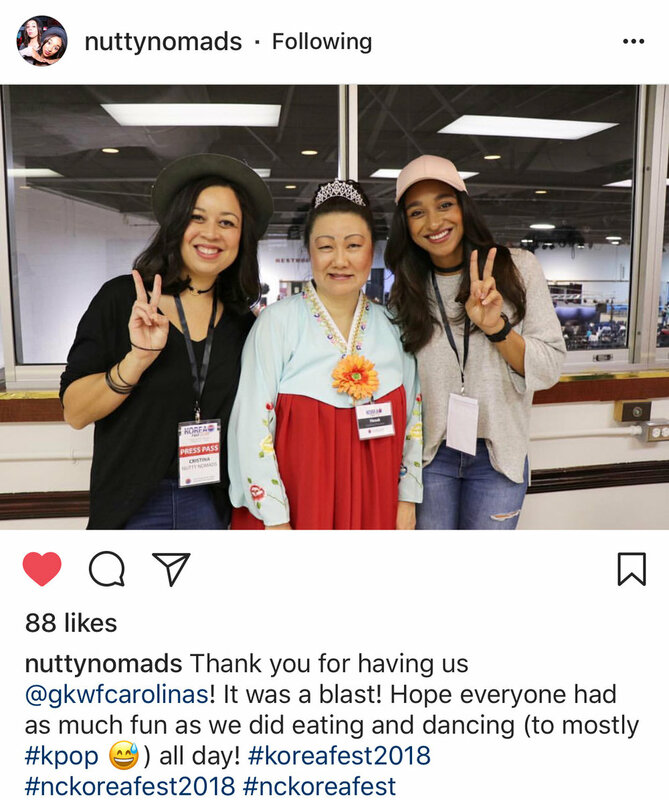 Bearta Alchacar (K-pop Dance Judge) is an entrepreneur in property acquisition and development, business owner, dance instructor, and UNICEF Ambassador for organizing International Dance Parties as fundraisers. She brings years of expertise in large event planning, marketing and public relations to the festival. 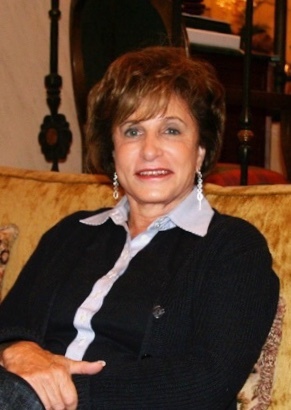 Bearta is a Lebanese immigrant; she has made Raleigh her home for over 20 years and is a graduate of NCSU. Bearta loves to travel and is fluent in French, Arabic, and English. Bearta is a cultural diversity expert with several years of experience working with multinational groups and has taught dance for over 15 years. Bearta has received the Presidential Volunteer Award in 2010 and Special Citation Award from Raleigh Parks and Recreation. She has her own event planning company, NC Vibes, and has directed the International Festival which encourages diversity and respect by telling incredible stories of courage. She loves to bring people together to celebrate the good things that unite us: art, food and history. Sun Young Hwang (K-pop Dance Judge) has taught Ballet at Sejong University in south Korea. She has studied Method of classical ballet at Vaganova of Russian Ballet as well as contemporary Ballet, Korean dance and modern dance, She is also certified to teach Russian Vaganova Method Ballet technique. She is also a Director of the Korea Ballet Association and an Executive Director of the Korean Association of Dance. - Ilsan dong Highschool Dance team "IPC"
- Goyang city Dance federation team "Secret", "TN family"
- KyungHee University Dance team "BMB"
Elizabeth Lynch (K-Pop dance judge) is a DJ and musician based in Raleigh, NC. She has been active in the local music scene for over 10 years both performing and organizing events for local and national acts. Growing up surrounded by dance, she spent a considerable amount of time studying and practicing choreography. Elizabeth also hosts the bi-monthly 18+ K-pop dance party, K-Pop Deluxe at Ruby Deluxe. McDonalds will be passing out what the McDonald's menu is like in Korea. They will also have cookie, pies, and other sweets available after you have had your fill of yuummy Korean food! Location for the Dan aka Dan Friday Meet and Greet and special rate Hotel. Kimbap will have Korean Food! Won Buddhism Temple will be selling hand made cards, paintings, drawings, and Buddhism merchandise. Camp Moo Gung Hwa is a Korean Culture Camp for Korean American Adoptees. 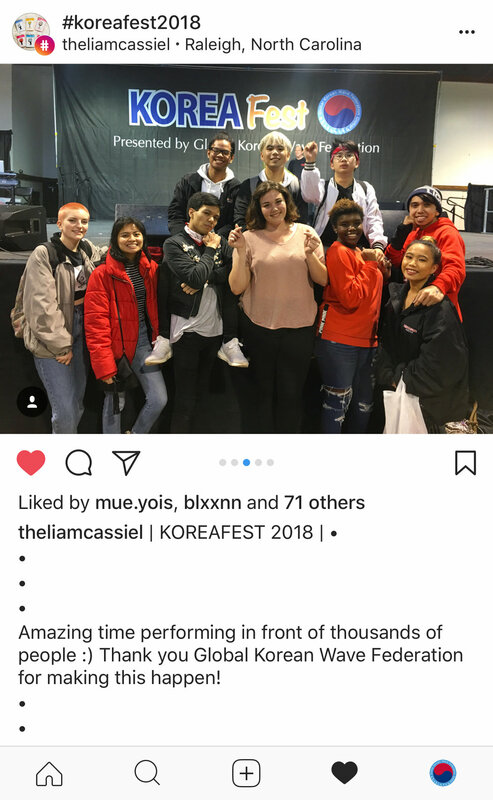 They will be helping support and volunteer their time at KoreaFest. 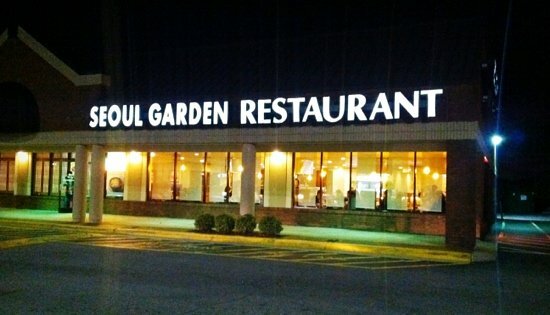 Located in Raleigh, N.C. Seoul Garden will be selling food at KoreaFest! 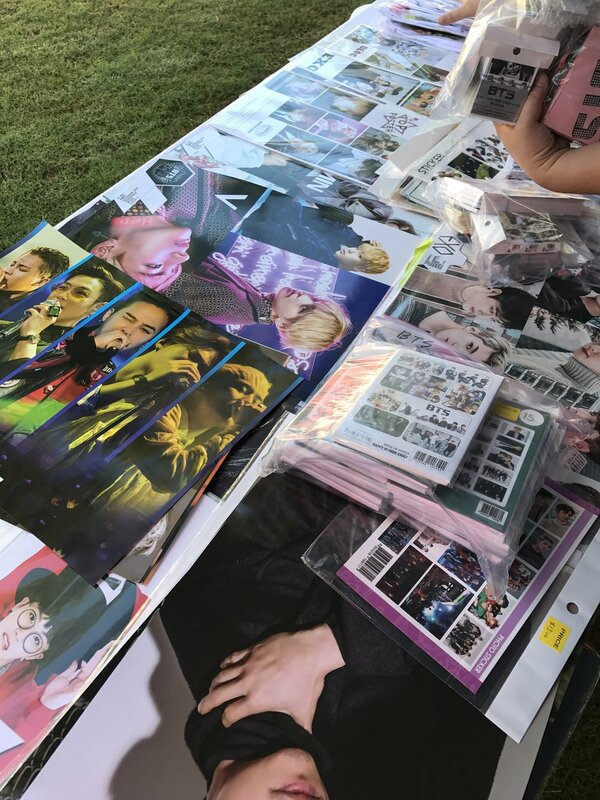 Oppang will be selling K-pop Apparel and Accessoires, including modern hanbok clothing. 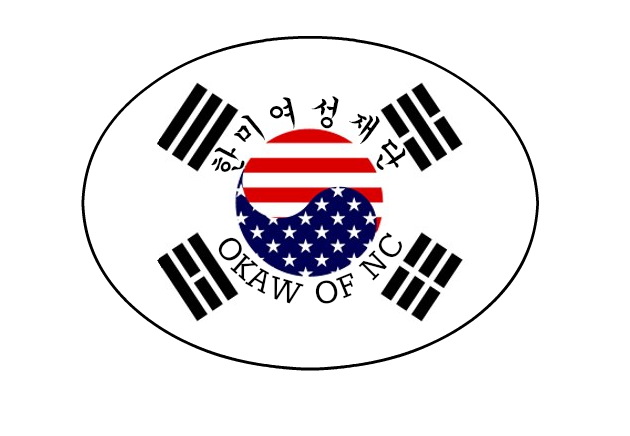 OKAW will be selling Korean Food! 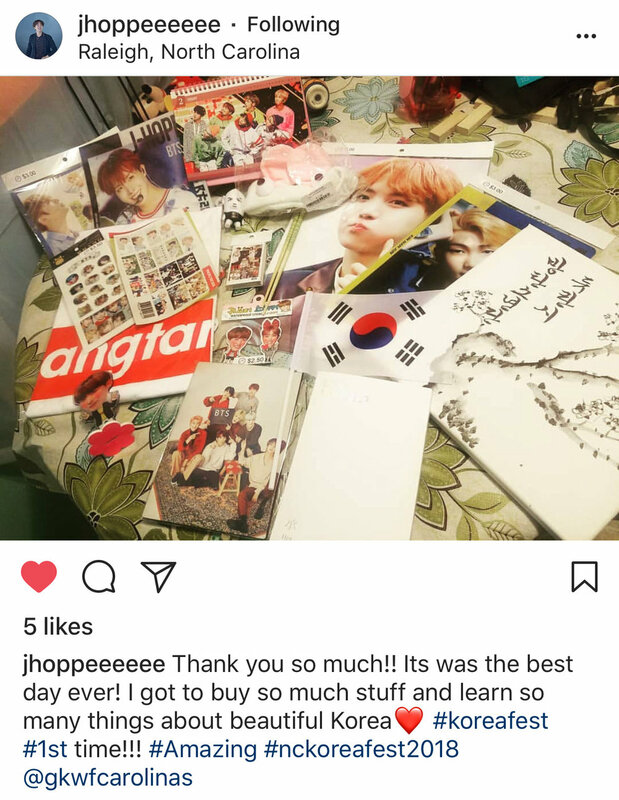 The Upcycling Store will be selling Korean food and Korean cosmetics, snacks, and other items! Performances must be the same performance submitted on your video. Any changes in music or dance will cause disqualification from the contest. 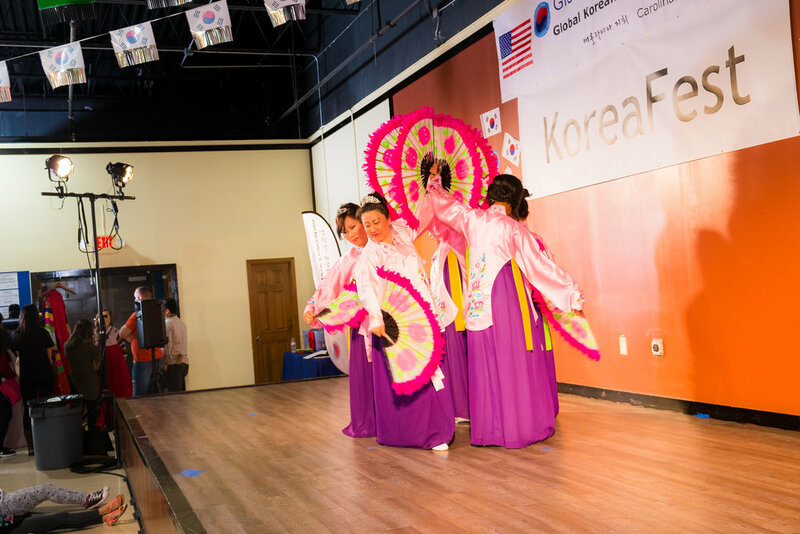 Performances and judging will be live at KoreaFest and should be the same music as submitted via the form. No refunds will be issued once submitted. Fill out the form below and we will send you an invoice via e-mail.Please keep your video posted until after KoreaFest2018. Once you have paid the submission fee, your submission status will be moved to Paid and ready for judging. 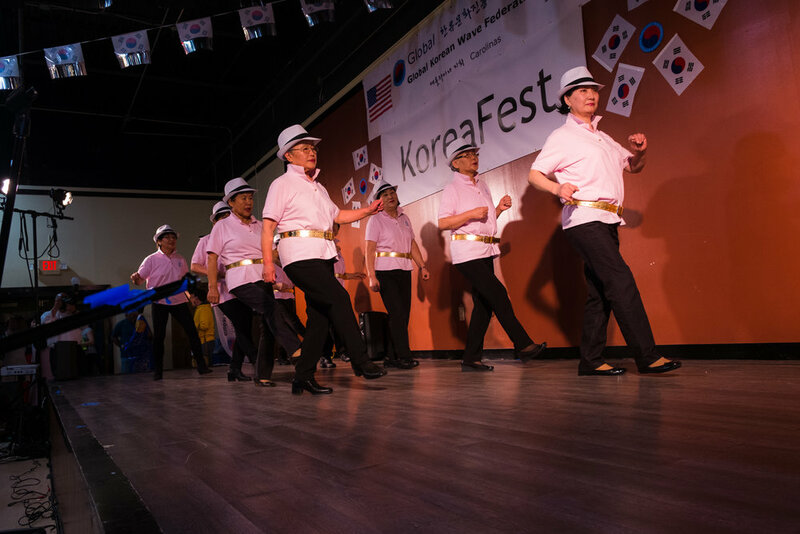 You will be notified after the first round of review if you have been selected to perform at KoreaFest for live judging. If you are an individual submission, put your name here. This would be the music you would perform to at KoreaFest if chosen to compete. A short intro video with the group or persons name(s), why you love k-pop dance. If you are selected, we will play this before your performance. This should include your name(s) group name, and why you entered this contest. Example: Hi, we are , I'm , I'm and we love the energy of k-pop music and dances! I understand that my video or photo might be posted on the Global Korean Wave Federation's facebook page or the website in the form of a link, an image, or my name as a submitter or winner. I understand that refunds will not be issued after the submission has been completed. After submitting your submission form, please pay your submission fee to complete the process.